Now where’s me pot o’ gold? 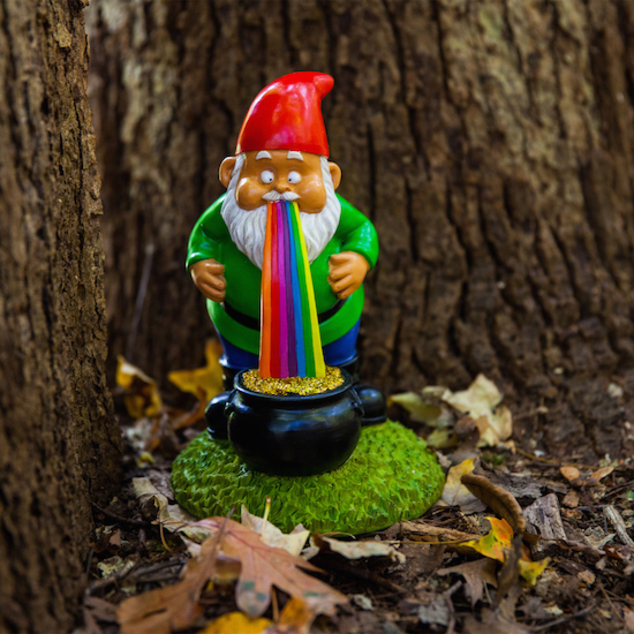 This gnome is so happy he could puke. 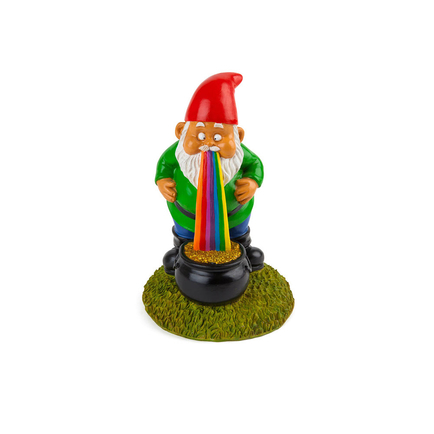 Not only will he will bring good luck to your garden, he’ll make sure there’s always a rainbow, too. the pot of gold gold sparkles in the light!